Why limit them just to summer campfires? 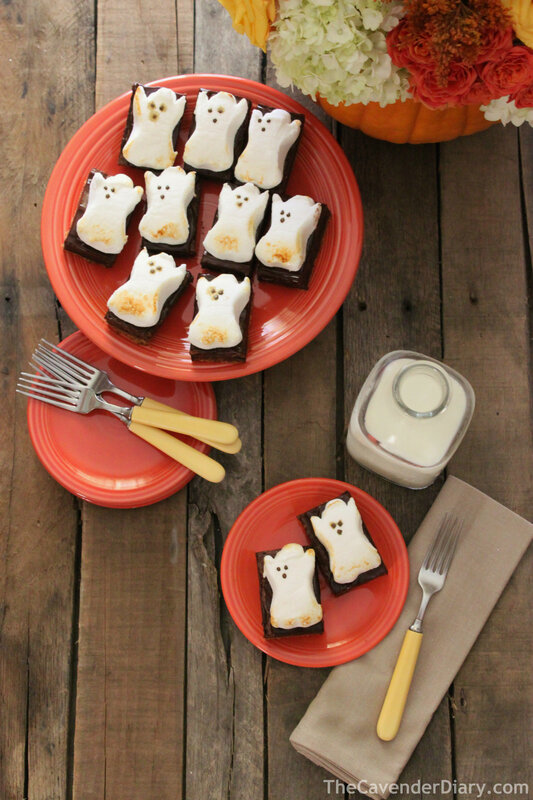 Try our Halloween brownie version……..staring Ghost Peeps. The only candy with a cult following. 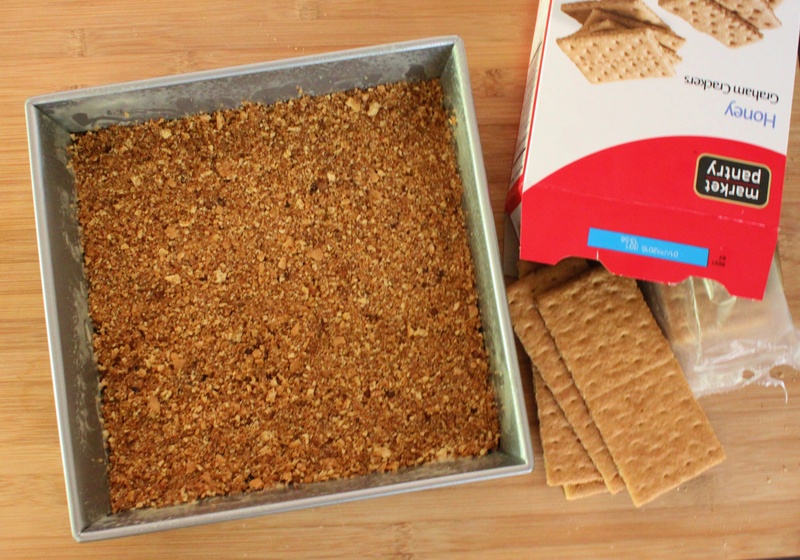 Mix everything together and smash into the bottom of a 9X9 greased baking dish. Pop it into a 375 degree oven for about 4 minutes to “crisp it up”. 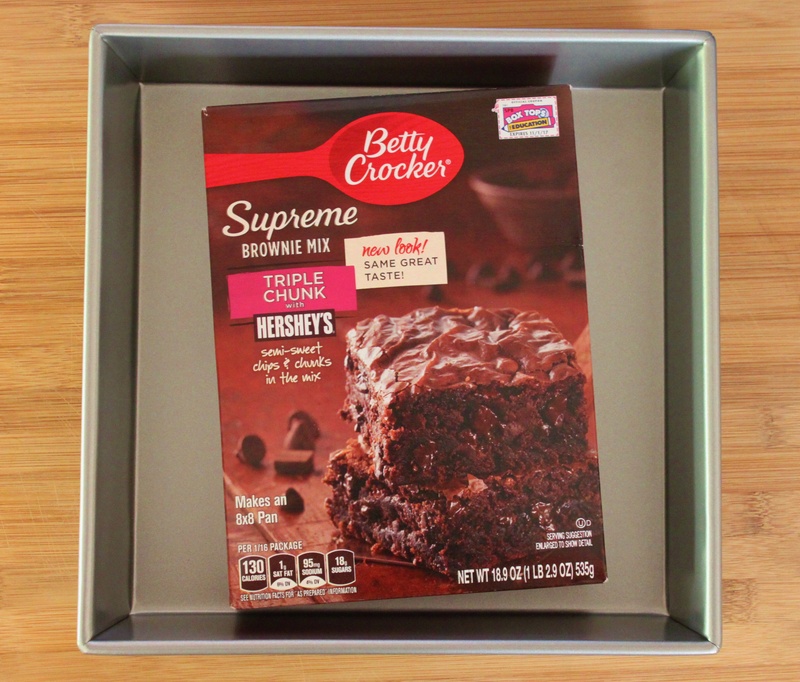 Chill in the fridge overnight, then remove the single large brownie from the pan and spread a layer of chocolate icing across the top. Not too much. 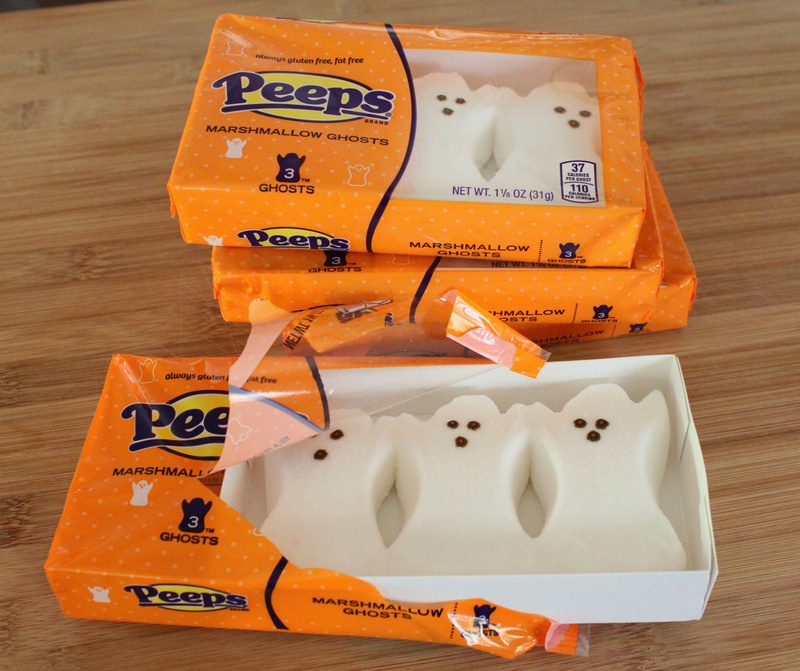 Just enough to hold the ghost Peeps in place. 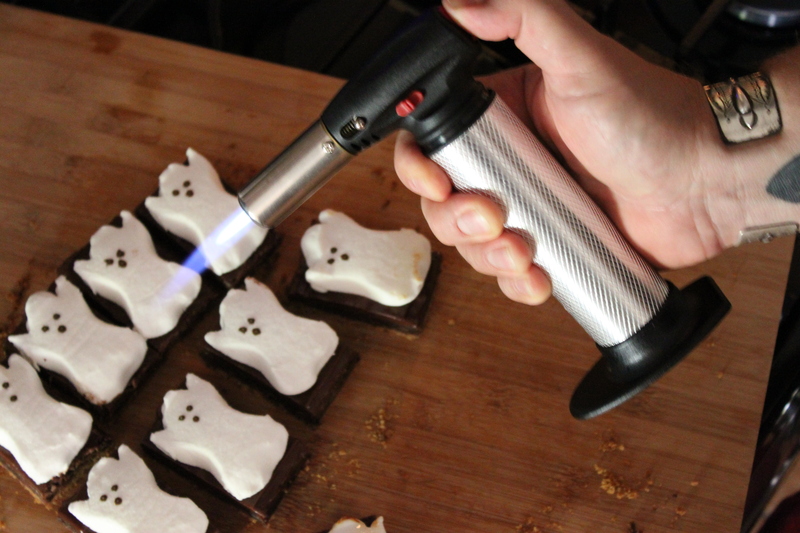 Use a sharp, wet knife to slice the ghosts apart…..and line the little guys across the frosted brownies. Pressing in gently. 15 ghosts will line-up across a 9X9 brownie just perfectly. I’ve had this hand-held kitchen torch for years. Not something I use that often. 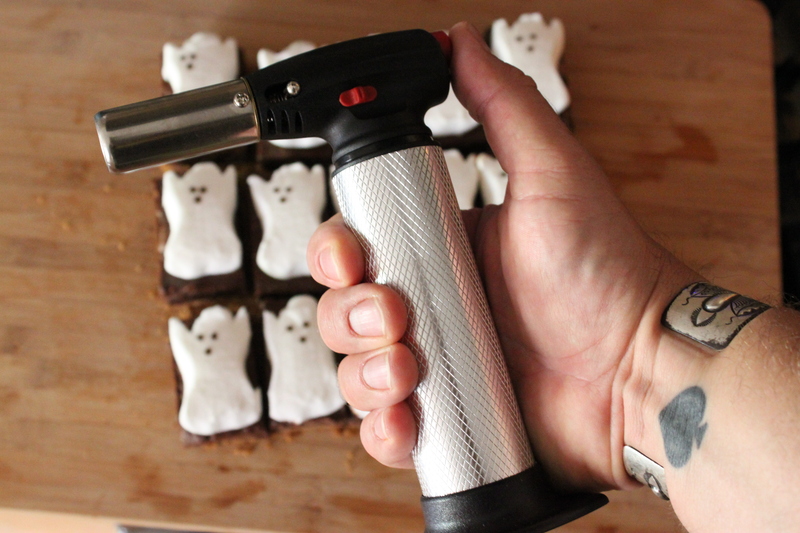 I set it on the lowest flame setting a pass it around the edges of the marshmallow Peeps. Charing them just a little. 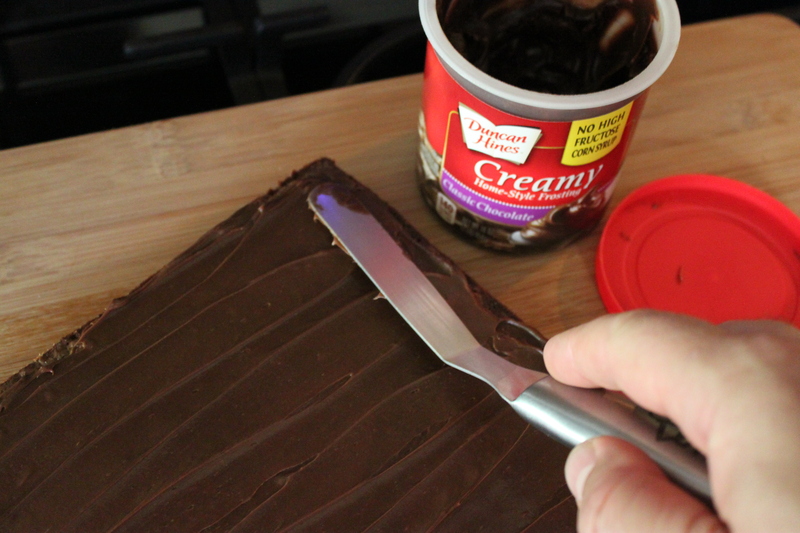 It works best if the brownies are cut apart. Also……. avoid the ghost faces. The heat melts their tiny little eyes. You’ll want a glass of milk with these..
And, as always, you’re welcome. 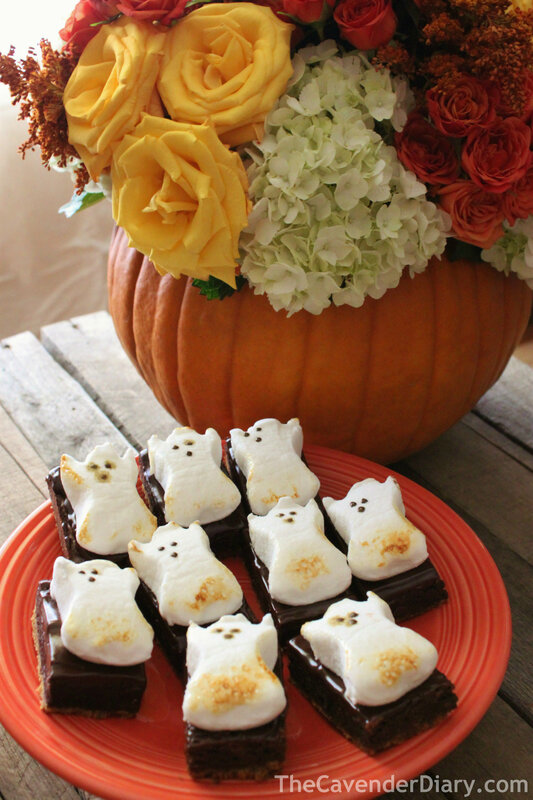 These sound delicious and decadent. I ate the whole pan (looks down at his feet in shame)…..
Oh my goodness, can it get any better? (Maybe with a touch of peanut butter…). Makes my mouth water. Yuuuuuummmmy! And by the way, I love reading your posts. Always interesting (and sometimes decadent). Hugs! Oh my how wonderful! But please! You could easily make homemade chocolate frosting and they would be Devine! I agree completely! 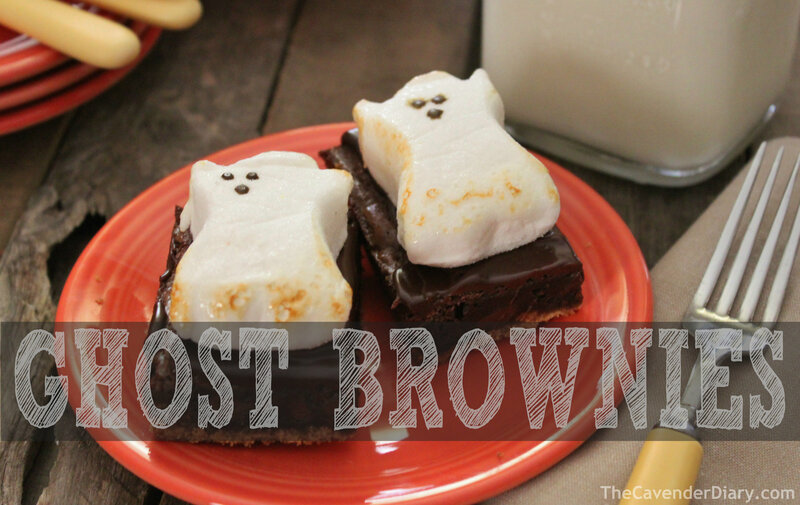 Jamie wanted to make his famous brownies, but I said ” let’s keep it simple” and let the crust and the ghost peeps shine…….homemade chocolate icing sounds just perfect! Love this! Ill have to try it next year. Aren’t they just adorable? ……And tasty too!!! !